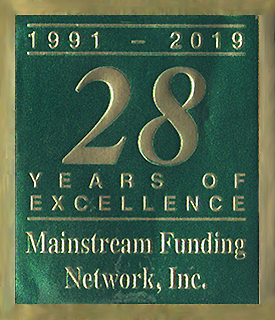 From the outset we at MAINSTREAM FUNDING NETWORK, INC. have provided a remarkably streamlined and personalized application-to-closing experience for thousands of clients. Over the years as we have grown in size, our veteran administrators and staff continue to function in concert with our original philosophy. Our commitment to making each client feel like our only client continues to earn us respect for our competence, praise for our attention to details, and repeated referrals from satisfied homeowners.